Fuel distribution problem - am I hosed? Ever since I turned the engine over a few weeks ago, after a rebuild, I’ve had an idle problem (which I’ve written about on this board). I went through the recommended steps (e.g., new hoses, wires, distributor cap and rotor, set timing and dwell), but finally had to take it to a local Porsche garage for a diagnosis. The guy who worked on it said that I had a fuel distribution problem. He measured the fuel pressure at 6.5 BAR (spec 5.2?) and the control pressure warm at 3.0 BAR. He also said that all of my injector seals were shot and that fuel pressure was leaking down after the engine was shut off. I ordered a new fuel regulator and a complete set of injector seals and o-rings from Pelican, which I plan on installing this weekend. However, the guy at the garage said that I’d have to modify the CIS unit to take the new fuel regulator. He claimed that regulators for a ’74 Porsche 911 are no longer made. Does this sound right? If so, what am I getting from Pelican? Finally, he told me that to fix my fuel problem, I have to find someone who could adjust shims in the CIS unit, or I’d have to buy a new fuel distributor. Has anyone been through this before? Is there any way to avoid spending $$$$ on a new CIS unit to get the car running right? 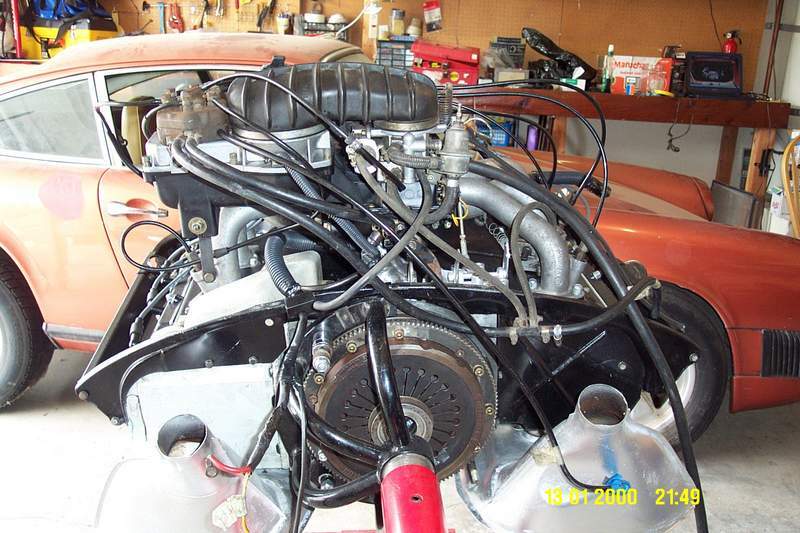 Are you sure your engine is a '74 engine? 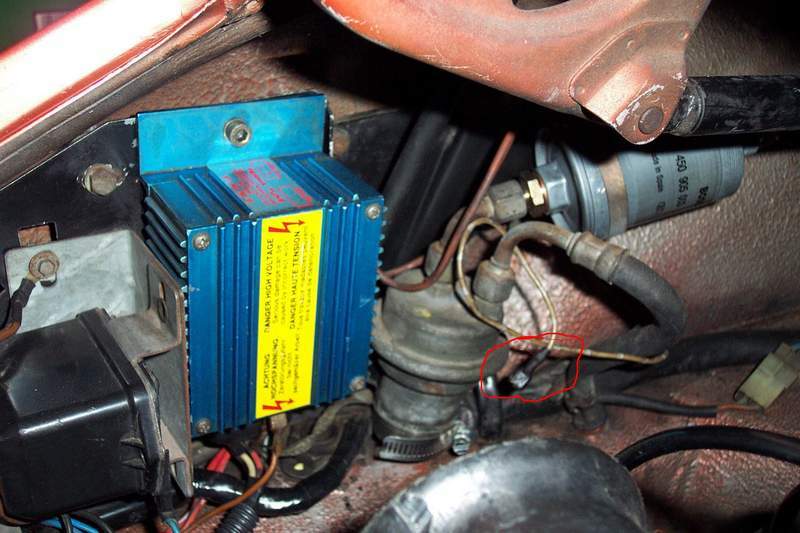 In looking at pictures from your earlier thread, you have the microswitch on the fuel metering housing, and it was added later thah '74 (in '77??). 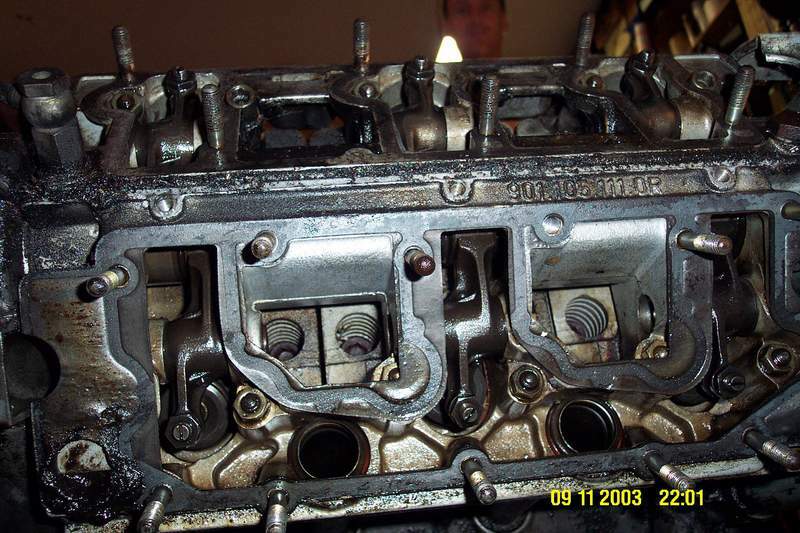 You also have a '77 and later mount for your starting injector. Cannot tell from your photos whether you have the bottom fuel return line from the fuel accumulator, which also came later than '74. I always assumed that I had a ’74 engine. I bought the car from a guy who had it inoperable in his driveway for ~4 years. I’ve attached a picture with the (case?) number stamped in. I also have a picture showing a line from the fuel accumulator going back into the chassis (back to the gas tank). or something wacky with the fuel return line. Thanks for the tip on checking the CIS part numbers. I’ll do that this evening. I’ve attached a picture of my CIS to this reply. Regarding the fuel leak down, I’m worried about the way I reconnected the fuel and vacuum lines. I studied diagrams and went through many threads, but as I’ve mentioned I bought the car after years of disrepair. My hope is that since it starts and runs (albeit roughly), that I’ve connected the fuel and vacuum lines correctly, but that’s probably a leap of faith. The fuel return line goes from the accumulator, back to the gas tank, correct? It sounds like I may need to replace the WUR. Again, my plan is to replace the seals and the fuel accumulator. After that I’ll make sure the WUR is getting a current (12V from the red wire, correct?). If it’s still idling poorly after all that, I’ll buy a WUR. Thanks for all the help. I’m looking forward to getting over the hump on this one! Maybe CIS guys throw parts at it because it can be damn frustrating hunting down the problem. I found using the Bosch book by Watson pointed to defective parts (like the WUR) which, when they were replaced, did not solve the problem. My car was down for over 2 months screwing around with tests of the various pressures. Now that it is running, I don't want to monkey with it at all. It is easier to buy a WUR on this board (I did for $50) and install rather than go in circles for hours. I'm with Noah. Shotgunning is a very expensive way to repair a CIS system. If you just rebuilt it, then I'd guess there is a reassembly problem. Fuel pressure leakdown can happen at the fuel pump check valve (very easy fix), the fuel accumulator or leaking injectors. But that would not cause a running problem. Just a starting problem. Fuel pressures are critical. Yes, the shims in the fuel distributor can be replaced, but again I'd look at reassembly issues first. Thanks everyone. It’s the encouragement that I needed. I’ll add a dose of patience to the list of things to do and also go over the connections that I made after the rebuild. you to spec. e-mail me if you have any questions. 76 911 WITH 74 ENG. I have a further comment. I'm not going to point a finger at your technician, but a mechanic that actually understands these things could test, adjust and fix this problem. There would be no guessing. Our guy here, John Walker, fixes CIS problems commonly without having to bring in expensive new parts. Obviously, sometimes those expensive new parts are necessary, but for example, warm up regulators can be made adjustable. Okay, having said that, another important principle in CIS systems is that stuff has to be checked and adjusted before making conclusions about which parts need replacing. Again, as Noah says, the most common method of handling CIS problems is to guess that a particular part is faulty, replace it, notice that the condition still exists, then replace another suspicious part. That's a great way of handling these problems if your main goal is to spend lots of money, with a sub-goal of taking forever to solve the problem. Someone mentioned the Bosch book by Watson. There are books, including factory Bosch manuals, which walk the technician step-by-step through the CIS troubleshooting procedure. Here's a hot tip: Sidestepping any of those procedures, or performing them out of order, is a mistake. Following those procedures will result in finding the problem. And finally, an illustration. You say your problem is idle. One of the critical adjustments for these systems, which will affect idle performance if not done properly, is the air flow sensor plate positioning. That plate has to sit exactly in the center of the bore, and the edges of the plate must be located precisely where the manual says they need to be. Incorrect sensor plate adjustment will cause problems even after replacing $1,000 worth of parts, until someone becomes so exasperated that the get the manual out, follow the procedures, and adjust the plate. almost exactly one year ago, superman gave me the same lecture. officially, i still owe him alot of beer. he saved my pcar membership. if i would have shotgunned the approach, i surely would have been blown away by the expense and gotten out of the game. for the first time CIS guy, the watson book is better. Thank you for your sage advice. I’m new to this, so I’ll take all the direction that I can get. I originally bought the car as father-son project, but my teenage son quickly lost interest. Since then it’s been my obsession to get the car running. Sounds like the Watson book is right for me.